“I strongly condemn the campaign of arrests and violence used by Hamas security forces against protesters, including women and children, in Gaza over the past three days,” UN envoy to Israel and the Palestinian territories, Nickolay Mladenov, said in a statement. 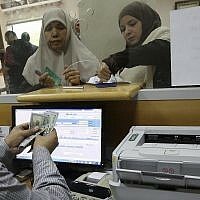 The rare public show of dissent by Gazans began on Thursday as demonstrators took to the streets at several locations throughout the Strip to protest the cost of living. It has been seen as a challenge to Hamas’s rule over the coastal enclave. A statement purporting to be from the organizers last week said the protests were non-political. Gaza, home to two million Palestinians, suffers from high unemployment, widespread poverty and very poor electricity and water infrastructure. “I am particularly alarmed by the brutal beating of journalists and staff from the Independent Commission for Human Rights and the raiding of homes,” Mladenov added. 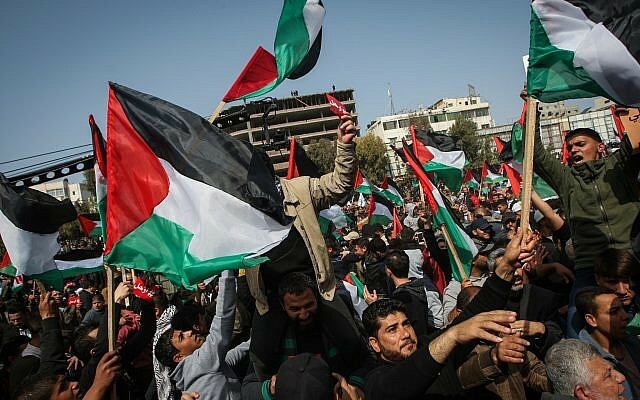 “The long-suffering people of Gaza were protesting the dire economic situation and demanded an improvement in the quality of life in the Gaza Strip. It is their right to protest without fear of reprisal,” he said. Hamas, which has not yet commented on Mladenov’s accusations, has controlled Gaza since expelling the Fatah-dominated Palestinian Authority in 2007. Since then, the group has fought three wars with Israel, which together with Egypt, has imposed a blockade on the coastal enclave. 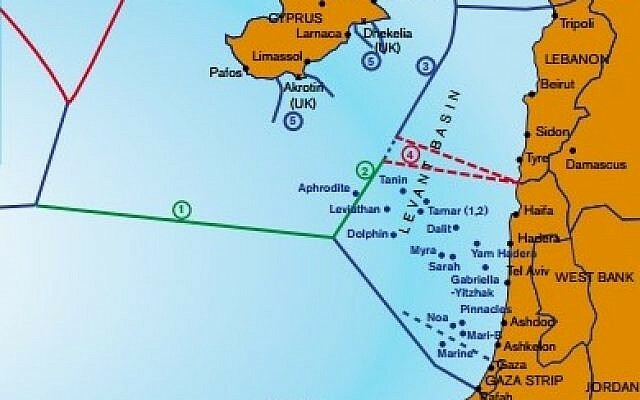 Israel holds that the restrictions it maintains on the movement of people and goods into and out of Gaza prevent Hamas and other terror groups from importing weapons to the territory. Palestinians in Gaza took to the streets on Saturday for the third successive day. The Ynet news site reported that at least 80 demonstrators affiliated with Fatah had been arrested. Palestinian rights groups said Hamas security forces briefly detained four of their researchers as it dispersed protests. On Friday, reports said Hamas security forces used live fire to quell demonstrations. 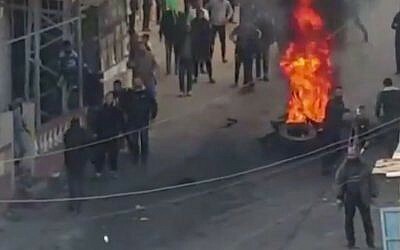 The center of those demonstrations was in Deir el-Balah, where Hebrew media reports said protesters burned tires and blocked one of the town’s main thoroughfares. Similar protests also took place in Khan Younis in the southern part of the Strip. Video from the demonstrations showed protesters throwing rocks, as gunfire was heard in the background. Friday’s protests came after the firing of two rockets from Gaza late Thursday toward Tel Aviv. In response, Israel hit more than 100 Hamas targets and Hamas fired seven more rockets into Israel before the two sides reportedly reached a fresh ceasefire. Weekly protests along the border, which have included many violent acts, were called off for the first time last Friday since they began last March.